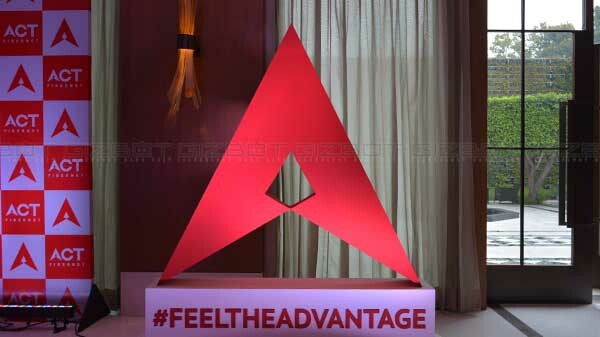 Nokia To Unveil Phi, Arrow Smartphones on September 5: Will The New WP8 Range House 41MP PureView Camera? While tech giants Apple and Samsung are stealing all the limelight with a plethora of speculations about their upcoming successors of smartphone models -- the iPhone 5 and Galaxy Note 2 this month, the Finnish phone manufacturer Nokia has plans to dent the smartphone arena with its giant offering in the first week of September. Reports have leaked that the company is secretly working on a Lumia smartphone which will feature Pureview camera technology and the latest version of Microsoft's Windows Phone 8. According to a TheVerge reports, the companies have planned to official take the curtains off the Arrow and Phi, Windows Phone 8 handsets, which are rumored to be the codenames of upcoming Lumia smartphones. It is assumed that these smartphones will the successors of Lumia 800 and 900 with polycarbonate build. Also a Russian blog, Obozrevatel, claims that Finns will be unveiling three Nokia Lumia smartphones at the September 5 event. Of these, parts and prototype of the Nokia Phi has already been leaked online in the recent weeks. However, the finally finished product of the handsets will be unveiled only in the next month. The blog also continues stating the rumored specifications of the Phi, claiming that it will sport a 4.7 inch AMOLED display,a micro SD card slot, LTE Radio and NFC. However, besides stating that Nokia will unveil three smartphones at the event, the blog does not reveal anything about the third handset. 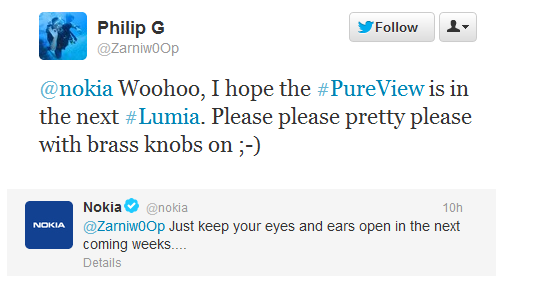 However recently, when a Twitter user had tweeted asking Nokia if the new Lumia handset will have the PureView technology as well, then the response from the Finnish handset maker gave strong hints at the possibility of the same. Back in February, at the Mobile World Congress in Barcelona, Nokia unveiled Pureview technology, which was debuted on the Symbian powered Pureview 808. But the Symbian OS is far behind when compared to the capabilities of Android and iOS devices. Hence, reports are suggesting that Finnish handset manufacturer is planning to unveil the Windows Phone 8 Lumia series smartphones on September 5, 2012 at the Nokia World event. Supposedly, it should be noted that back in April an image was leaked by news website, IT168.com, which showed an unannounced Lumia PureView smartphone packed with an impressive 41-megapixel camera with Carl-Zeiss lens and PureView imaging technology, which can capture full HD (1080p) videos with Nokia's Rich Recording Technology. 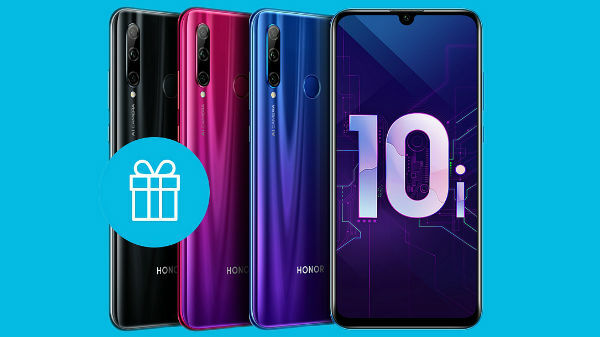 Furthermore, the report informed that the smartphone would sport a large 4.3-inch capacitive touchscreen (curved glass) display that supports HD resolution (no other details are available). Further it was also revealed that on the inside, the Lumia PureView would be equipped with some kind of dual core processor manufactured by Qualcomm and an Adreno 320 graphics processing unit. Well, with all these consistent features and informations, the yet-to-be revealed Lumia PureView does not sound as if it is a fake product, besides, it seems to be a true competitor against the third generation Samsung Galaxy smartphone and the sixth-generation iPhone. What do you think, if the rumors turn out to be true and new Nokia Lumia PureView handset is released, will it be able to take the challenge against Apple's and Samsung's super releases this year? Or is it just another Windows phone addition in the market by Nokia? Do share your thoughts.